Join local wedding vendors to advertise with us. Your promotion reaches an audience across Print, Digital, Web, Email and Social Media platforms. The magazine is mailed first-class, free of charge to every inquiry who orders the free magazine. Your display ad and editorial copy promotes your wedding related business to all planning a Mackinac Island wedding. Linked from mackinacisland.org reaching as many as 200,000 visitors per month. Your vendor listing includes photos, a full description of your wedding services, a link to your website, social media links and a contact button for more information. Our Married on Mackinac blog posts feature our vendor advertisers with links to your business. The digital magazine offer links from your ad and enhanced promotion opportunities such as linked video’s, additional photos and music. We will share and feature you on all of our social media platforms with beautiful photos and interesting wedding tips. Advertising deadlines for 2020 magazine November 1 2019. Magazine distribution January 1, 2020. - December 31, 2020. 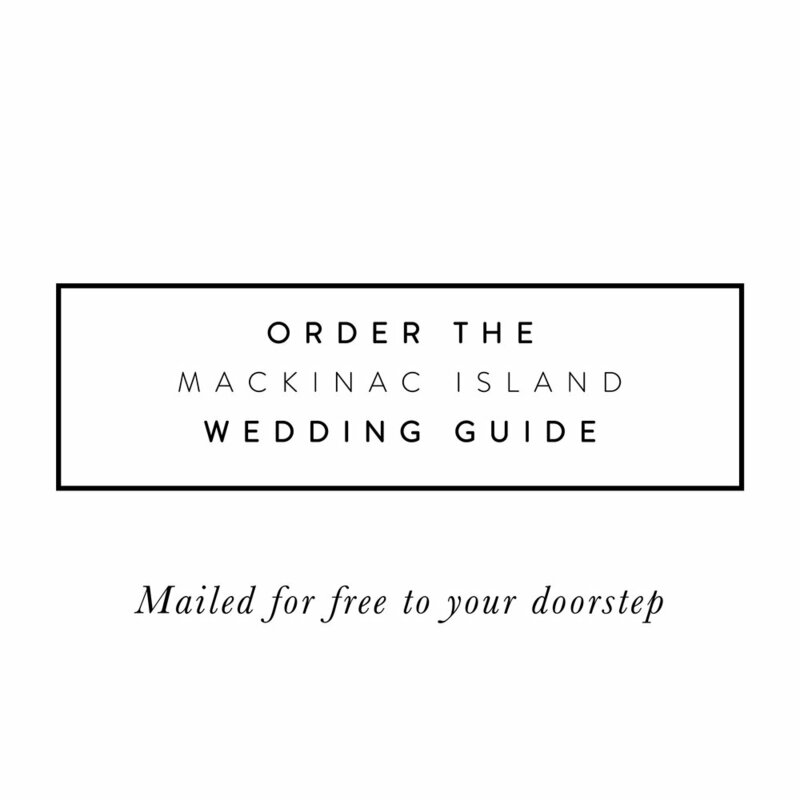 The Mackinac Island Wedding Guide is the official publication of Mackinac Island Tourism. To advertise in the guide or website, you must be a member of Mackinac Island Tourism. Please contact Christi Dupre for information on becoming an advertiser in the Mackinac Island Wedding Guide and Married On Mackinac website. Please contact Mackinac Island Tourism for information about becoming a member of the MIT.